McCawley has been praised for the purity of his lyrical and heartfelt playing. An acclaimed exponent of Mozart, he has performed and recorded (Avie Records) the complete cycle of Mozart Piano Sonatas in winning interpretations: ’There’s absolutely no vanity in his playing, which is bright, clean and unfailingly communicative. In his hands the Mozartian oeuvre emerged with striking vividness’ (International Piano). 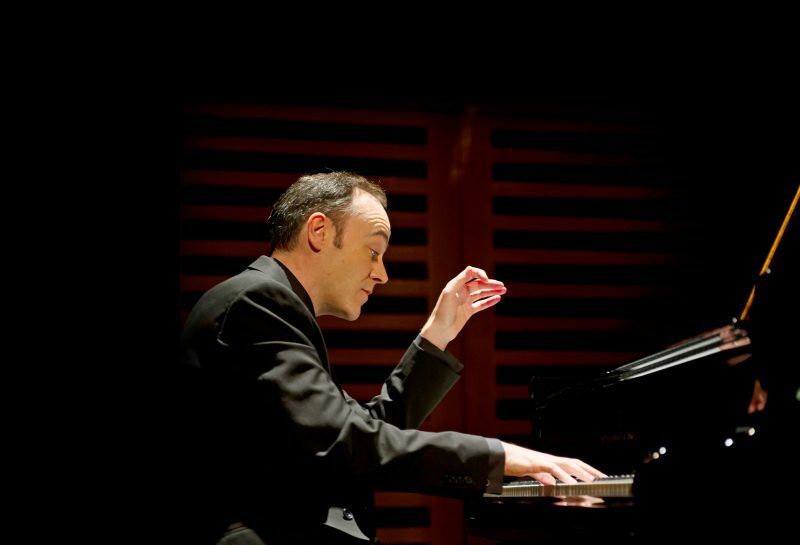 Notable recitals in past seasons include: London Piano Series at Wigmore Hall (where he will return in 2018 and 2019), International Piano Series at London’s Southbank Centre, Philharmonie and Konzerthaus in Berlin, Frick Collection and Lincoln Center New York, Hong Kong Arts Festival, Prague Rudolfinum and the Phillips Collection Washington DC. He can be frequently heard on BBC Radio 3 both in performance and interview with most recent broadcasts including In Tune, Wigmore Hall Lunchtime Series and Performance on 3. As a concerto soloist, McCawley performs with many of the leading British orchestras including the Academy of St Martin-in-the-Fields, London Philharmonic, Royal Philharmonic, Philharmonia, BBC Philharmonic, Bournemouth Symphony, City of Birmingham Symphony and Royal Northern Sinfonia. He has performed several times at BBC Proms. Further afield, McCawley has made concerto appearances with, amongst others, Adelaide Symphony, Cincinnati Symphony, Dallas Symphony, Malaysian Philharmonic, Minnesota Orchestra, Netherlands Philharmonic, Philadelphia Orchestra (where he was praised as ’a master of tone and articulation’ by the Philadelphia Inquirer), RTÉ National Symphony Orchestra, St. Petersburg Symphony and Vienna Symphony and worked with conductors such as Mark Elder, Daniele Gatti, Paavo Järvi, Andrew Litton, Kurt Masur, Gianandrea Noseda, Sakari Oramo, Simon Rattle and John Wilson. McCawley’s discography includes: Schumann Piano Music (Avie Records) selected as Editor’s Choice in Gramophone; The Complete Piano Works of Hans Gál (Avie), also a Gramophone Editor’s Choice; The Complete Mozart Piano Sonatas (Avie) awarded a Diapason d’Or ; Chopin Piano Music (SOMM Recordings) ; Barber Piano Music (SOMM), awarded Critic’s Choice in Gramophone in November 2011; Beethoven’s Choral Fantasy with Royal Philharmonic and City of London Choir/Hilary Davan Wetton (Naxos); Brahms Piano Music (SOMM), selected as Classic FM CD of the Week in July 2012; Schumann Piano Music (SOMM); Rachmaninov Complete Preludes (SOMM); Vaughan Williams Double Piano Concerto with John Lenehan and Royal Scottish National Orchestra/Martin Yates (Dutton Epoch) , described as ‘not been better served on record before’ and awarded 5 stars by BBC Music Magazine; and Haydn Sonatas and Variations (SOMM). 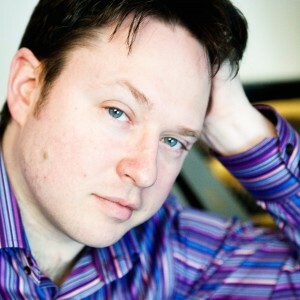 Leon McCawley is currently professor of piano at London’s Royal College of Music. He is married to the painter Anna Hyunsook Paik. En 1993 le pianiste anglais Leon McCawley a gagné le premier prix au concours international de piano á Vienne et il a gagné aussi le deuxième prix au concours international de piano à Leeds. Il a fait ses études à Chetham’s School of Music, Manchester, avec Heather Slade-Lipkin et au Curtis Institute, Philadelphia, avec Eleanor Sokoloff; il a travaillé aussi avec Nina Milkina à Londres. Les récitals de Leon McCawley ont reçu beaucoup d’acclamations: à la Wigmore Hall et à la Queen Elizabeth Hall, Londres, Berlin Konzerthaus, Lincoln Center New York, Prague Rudolfinum et Vienne Musikverein. Il joue souvent avec les premiers orchestres britanniques et il a joué plusieurs fois aux BBC Proms dans la Royal Albert Hall. Il fait régulièrement des emissions chez BBC Radio, en récital et avec les orchestres de la BBC. A l’étranger il a joué avec les orchestres Cincinnati Symphony, Dallas Symphony, Minnesota Orchestra, Netherlands Philharmonic, Philadelphia Orchestra et Vienna Symphony, entre autres. Parmi d’autres chefs d’orchestre il a travaillé sous le baton de Kurt Masur et de Simon Rattle. Sa discographie très variée a reçu beaucoup de prix, y compris deux ‘Choix de l’Editeur’ dans Gramophone Magazine et deux ‘Diapasons d’Or’ chez Diapason. Leon McCawley est professeur de piano au Royal College of Music à Londres, et son épouse Anna Hyunsook Paik est peintre.